TISS CEO Ryan Wholey and his wife, Katherine, met with Prince Charles at a special reception on June 28th in the regal surroundings of the Palace Gallery, three months after being awarded for Innovation for its TankSafe® “Impregnable” device. 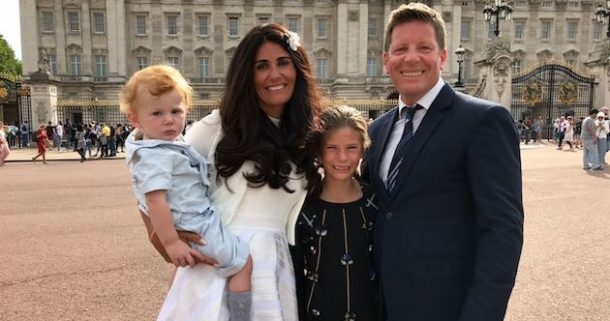 It was a family affair as Ryan and Kath were accompanied to the Palace by their children Layla, 10 and one-year-old Rowan. The device has been on a global journey since the launch of the original ‘Impregnable’ in 2006. The product is sold in over 60 countries and through regular liaison with its global network of customers, distributors and OEM partners, TISS has made constant improvements to the device. TISS won its first Queen’s Award for Enterprise in 2014 for International Trade.